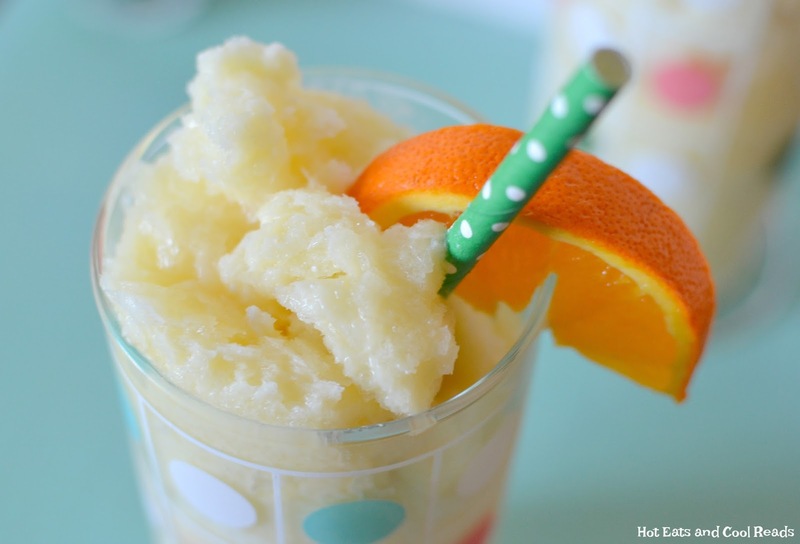 A fruity, addicting and refreshing spring and summer beverage that's great for any party, BBQ or picnic! Finally, after an extended winter, spring has finally arrived here in MN! Woo-hoo! What did I do to celebrate this gorgeous weather? 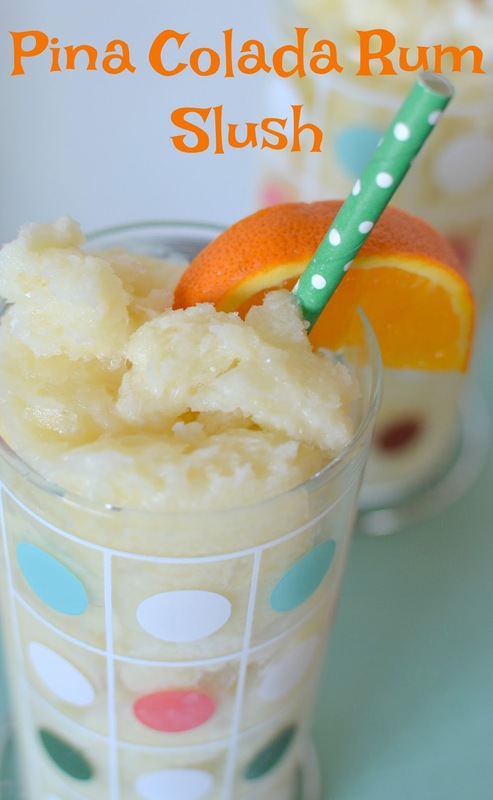 Drink these amazing Pina Colada Slushies! Before the slushies, I cleaned out and re-organized my shed, tidied up my flower beds for planting this week, priced a ton of garage sale stuff and hung out with my daughter while she rode her bike around the neighborhood. After all that hard work, we headed over to my sister's house with the slushies and one of our favorites, Ranch Vermicelli Pasta Salad to go with chicken she was making for dinner. Let me tell you, it's always an adventure at my sister, Shantel's house! 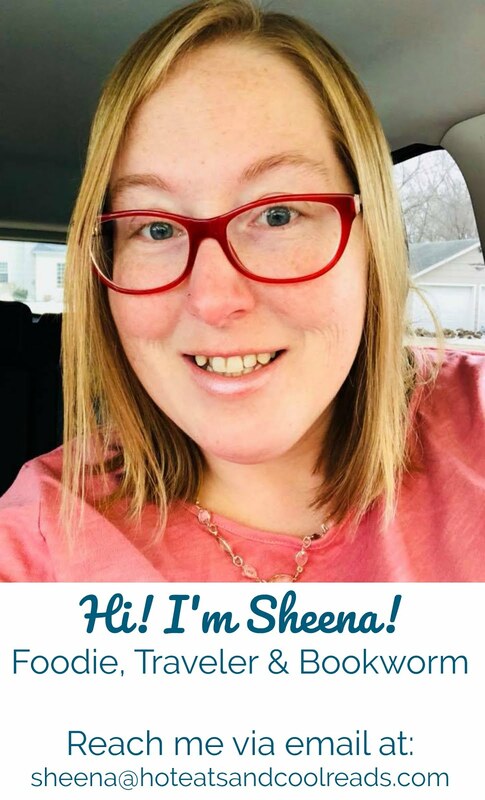 She has two big dogs, Gandolf the Saint Bernard and Teddy the Wirehaired Pointing Griffon and they are always the center of attention and totally hilarious! Shantel and I thoroughly enjoyed a couple slushies while sitting in the sun next to her century old farmhouse she's currently renovating. There's nothing like enjoying a beverage, sitting on vintage lawn chairs and listening to the wind in a huge, old yard. Her house and yard totally remind me of my childhood growing up in country. Love it! The best thing about these slushies? They are super quick to prepare and are budget friendly if you need to make them for a crowd. Not to mention they taste FANTASTIC!! They do take a couple days to freeze, so if you need them for the weekend, make sure to prepare them by Wednesday or Thursday. 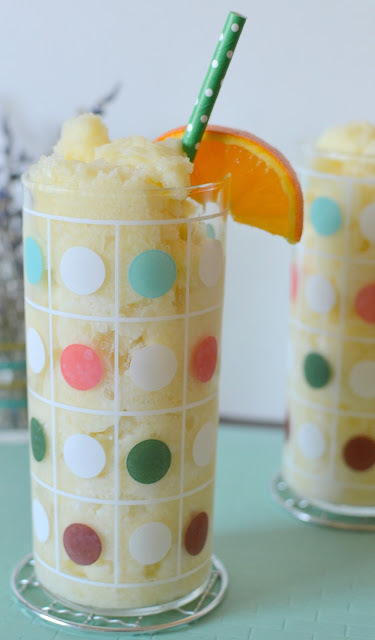 I have a feeling these Pina Colada Rum Slushies will be making an appearance quite often this summer at our family BBQ's and other gatherings! 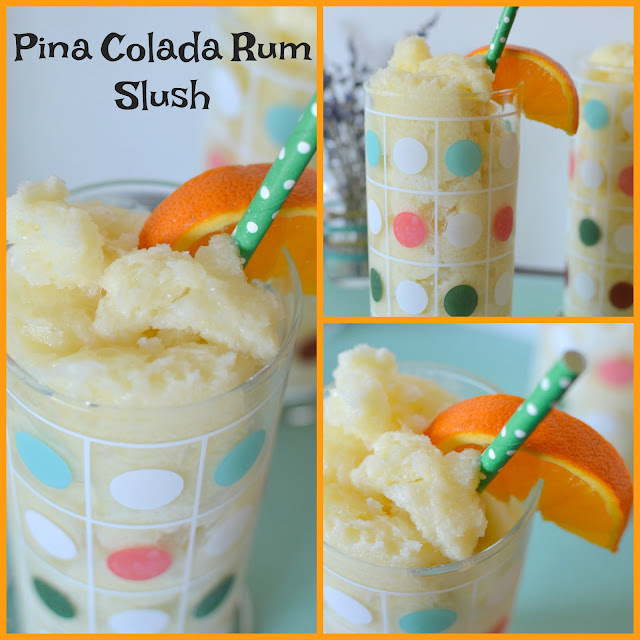 In a blender, blend together half of the pineapple juice and coconut cream until combined. Pour into an ice cream pail or similar sized container. Add the remaining pineapple juice, lemonade and rum. Mix well and freeze overnight or until frozen through. Serve topped off with some lemon lime soda and orange slice.